This article by Jeremy D. Morley appears in the July 2010 issue of The Matrimonial Strategist. In Abbott v. Abbott, No. 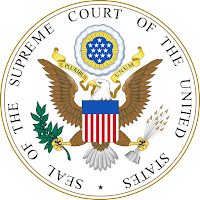 08-645, the U.S. Supreme Court has now issued its very first decision interpreting the Hague Convention on the Civil Aspects of International Child Abduction. The Convention provides that a child who is taken to or retained in a foreign country without the consent of a person with "rights of custody" over the child under the law of the child’s habitual residence must be returned to the habitual residence unless an exception applies. It was brought into U.S. law by the International Child Abduction Remedies Act (ICARA). The Supreme Court overruled the Fifth Circuit and a line of cases on a key issue — whether a parent’s right to prevent international travel, known as a ne exeat right, is a "right of custody" — that had originated with a Second Circuit decision in 2000 and had been followed in some but not all circuits. The case concerned a British father and an American mother who had moved with their son from Hawaii to Chile, where they had separated. A Chilean court had assigned daily care and control of the child to the mother, with mere visitation rights to the father. The mother then covertly took the child to Texas. The father brought suit in Texas under the Convention, seeking the child’s return to Chile. The mother argued that the Hague case must be dismissed because the father had no rights of custody. In response, the father established that a Chilean statute gave him a ne exeat right. The issue was whether that statutory right constituted a "right of custody" within the meaning of the treaty. "No," said the trial court, the Fifth Circuit and three dissenting Supreme Court judges, all of whom followed the Second Circuit’s majority opinion in Croll v. Croll, 229 F.3d 133 (2d Cir.2000), and declared that the ne exeat right was more akin to a right of access than to a right of custody. "Otherwise the Convention would be rendered meaningless in many cases where it is most needed since ne exeat rights can only be honored with a return remedy because these rights depend on the child’s location being away from its habitual residence; The Convention’s purpose of deterring child abductions by parents who are looking for a friendlier custody forum would otherwise be compromised; and International case law favoring such an interpretation should be respected." Once the Supreme Court granted certiorari, its decision that a ne exeat right is a Hague Convention "right of custody" was widely expected. This is because Justice Sotomayor had issued a vigorous and well-received dissent in Croll, and because the majority opinion in Croll and its progeny had been severely criticized by commentators and by some courts. Moreover, the U.S. State Department — whose Office of Children’s Issues serves as the Central Authority for the United States under the Convention has long espoused and argued for — such an interpretation and the U.S. Government submitted an amicus brief supporting the father’s position. The dissenting opinion of Justice Stevens was based on a narrow reading of the text of the treaty, which most courts around the world have rejected. His most telling point seems to be in drawing a distinction between: 1) cases in which a ne exeat right is an express provision in a custody order; and 2) cases in which a foreign statute provides that a non-custodial parent’s mere right of visitation automatically triggers a restriction on international travel. In Chile and almost all other South American countries, statutes give a travel veto to a parent who has "the barest of visitation rights." This means that a non-custodial parent in such countries with mere visitation rights always has a Hague "right of custody" for purposes of the Hague Convention, which can lead to unfortunate results for the custodial parent. What is surprising is that it took the system so long in this country to provide a simple answer to a relatively simple issue. Enormous amounts of lawyers’ time and clients’ money has been wasted over the years because the circuits were in conflict on this issue and the Supreme Court never addressed the issue. Refreshingly, the Supreme Court majority considered international cases to a significant extent. ICARA, the federal enabling legislation, expressly authorizes such consideration, since it declares "the need for uniform international interpretation of the Convention." Accordingly, the Court cited cases from the courts of England, Australia, Israel, Austria, South Africa, Germany, Canada and France, and concluded that there is an "emerging international consensus" that ne exeat rights are rights of custody, even if that view was not generally formulated when the Convention was drafted in 1980. Since the effectiveness of the Hague Convention requires that countries enforce the treaty uniformly, it is extremely appropriate that courts should encourage counsel to refer to international case law in Hague cases in order to allow the courts to render decisions that take account of the international interpretation of key terms of the treaty. The Supreme Court’s decision will be useful for family lawyers in many non-Hague cases. Lawyers will be able to cite it whenever a client seeks to restrict or enjoin foreign travel to a non-Hague country or to a noncompliant Hague country. The Court has provided strong and highly "quotable" language concerning the dangers that are posed by international child abduction. It has stated that it is U.S. policy to "deter child abductions" and that "the Convention’s purpose [is] to prevent harms resulting from abductions," which "can have devastating consequences for a child" and may be "one of the worst forms of child abuse" that "can cause psychological problems ranging from depression and acute stress disorder to posttraumatic stress disorder and identity formation issues" and lead to a child’s experiencing "loss of community and stability, leading to loneliness, anger, and fear of abandonment" and "may prevent the child from forming a relationship with the left-behind parent, impairing the child’s ability to mature." A growing body of case law is establishing that courts have a duty to bar international travel by a parent with a child when there is a genuine risk that the parent may seek to retain the child overseas and when the country in question does not promptly return abducted children. The Supreme Court’s language in Abbott will help in these cases. It is, quite frankly, both outrageous and scandalous that the litigation in the Abbott case dragged on for four years while the courts debated an interesting point of law and appeared oblivious to the fact that: 1) their inaction was in plain derogation of their affirmative obligation under the treaty to act quickly; and 2) their delays caused the father’s rights to have his child returned to Chile to evaporate. Speedy resolution of return applications is essential to the operation of the Convention. The language of the Convention is repeatedly calls for state parties to provide for procedures to ensure the "prompt return" of abducted children (Preamble; Article 1) and to "use the most expeditious procedures available" (Article 2). Indeed, the Convention provides in substance that a country’s judicial authorities are expected to conclude a Hague case within six weeks of its commencement. The U.S. State Department is mandated by Congress to file annual reports evaluating the compliance by other countries of their obligations under the Hague Abduction Convention. These reports are filled with complaints about the delays in the courts of other countries, but they say nothing about the failure of U.S. courts to handle these matters expeditiously. The poster child for such extreme delays will now doubtless be the Abbott case. The child was aged 9 or 10 when he was taken from Chile to the U.S., but is now about 15 years old. The case was commenced in the U.S. District Court in May 2006. The district court rendered its decision in July 2007, a delay of 14 months. The Fifth Circuit rendered its decision in September 2008, a delay of another 14 months. 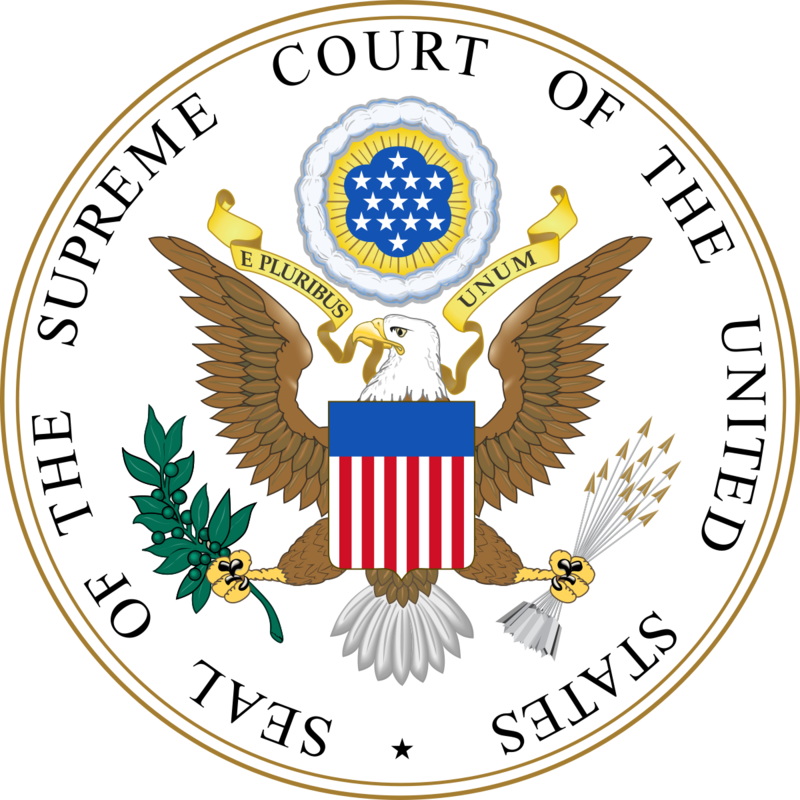 The Supreme Court granted certiorari in June 2009, a delay of another 9 months. The Court then waited another 11 months before issuing its decision. The courts have presumably created a complete defense in favor of the abducting mother since the Convention provides that a child of sufficient maturity who wishes not to be returned to the habitual residence need not be returned. The Convention also provides that a case must end if the child reaches the age of 16 before the case is concluded. While the Abbott child was not mature enough when the case was started, he is doubtless sufficiently mature now to trigger the first such defense and further delays in the case will presumably trigger the second such defense. These defenses were created by the failure of the judicial system to provide for expeditious appeals in Hague cases. While the Supreme Court’s decision in Abbott was based on a careful analysis of the text of the treaty and of its fundamental purposes, the Court failed to pay attention to the fundamental obligation of the judicial branch of each treaty partner to render final decisions expeditiously, usually within six weeks. An example of how Hague cases should be handled is provided by England. There only specialized judges may handle Hague cases. Furthermore, the English courts have enacted rules that require that appeals in Hague cases be lodged within 14 days of the first instance decision and appeals are expedited through a fast-tracking appellate procedure. The target of six weeks is for resolution of the case in its entirety, including all appeals. Now that the Supreme Court has finally handled a Hague abduction case, it is to be hoped that it will choose to resolve some of the other issues that bedevil almost all Hague cases in this country. The primary issue that cries out for such treatment is that of habitual residence. Determination of the child’s "habitual residence" is key to every Hague case, but the term is not defined in the Convention or in ICARA. Difficulties with its interpretation have given rise to an enormous volume of jurisprudence and to conflicting rules, presumptions and attitudes among the various circuits. Another issue that requires Supreme Court intervention is that of defining the parameters of the defense of grave risk of harm. These issues cry out for resolution by the Supreme Court.